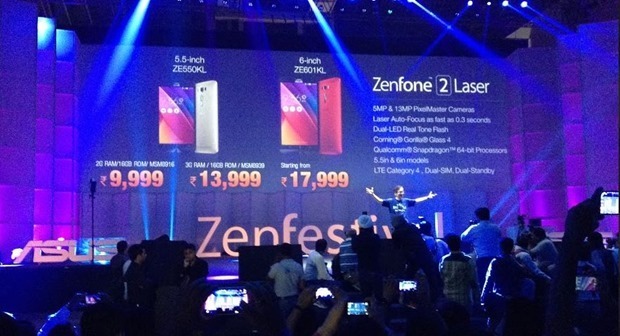 Asus organized a mega launch of their three new variants of Zenfone 2 series. 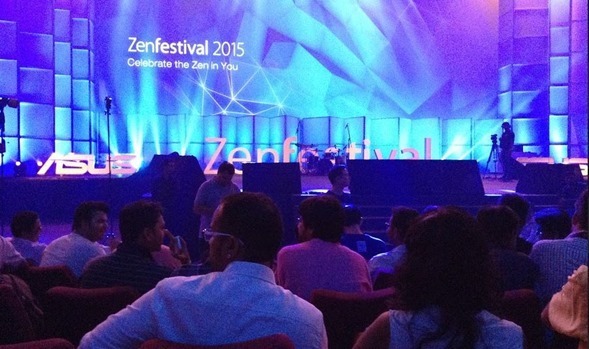 The launch event, christened as ‘Zen Festival’, was attended by hundreds of Asus fans and bloggers from all over the country. Sonakshi Sinha was roped in to add a sparkle of glamour and glitz at the event, which happened at New Delhi on August 7, 2015. 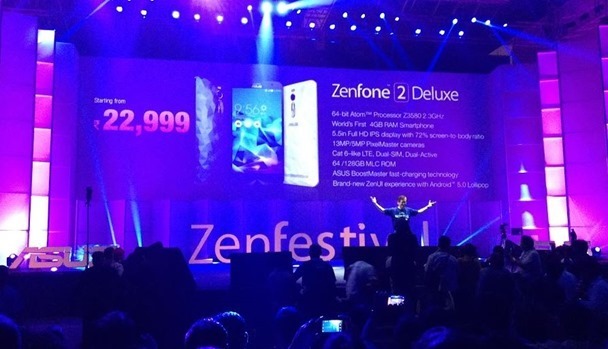 Asus declared that Zenfone 2, which was launched in April this year, is already a smash hit. Around 2 million units of this model has already been sold till date, with Taiwan witnessing a record 600,000 orders in 60 days and China reporting sales of 1.5 million pre-orders in 15 days. Jonney Sheh, Chairman of Asus announced proudly that 25,000 units were sold in India within 24 hours. As per Jonney, Zenfone 2 is already #1 in Amazon US (under unlocked phone category); #1 in Japan (under SIM-free market); #1 in Amazon Italy and #2 at France’s biggest ecommerce portal CDiscount. 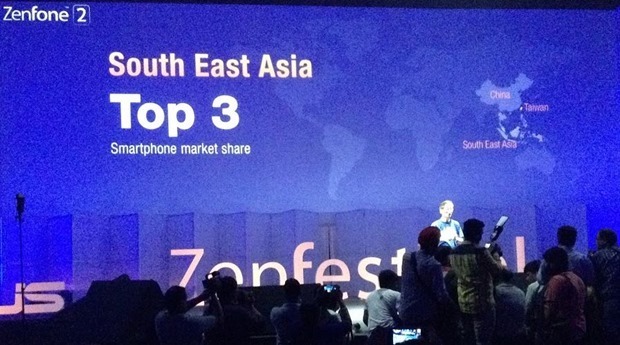 Overall, Zenfone 2 has received 6 times the number of pre-orders received by Zenfone 1 series, and is currently at #3 position in South East Asia. All variants run on Android 5.5 Lollipop & ZenUI. Besides, Asus also launched newer versions of their tablets: Zenpad 7 and Zenpad 8 which are priced at Rs 11,999 and Rs 14,999 respectively. Powered by Intel Atom x3 processors, these tablets will support voice calls and run on Android 5.0 Lollipop. 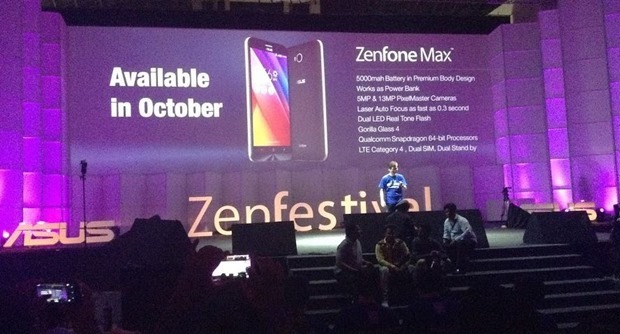 Asus also gave a glimpse of their next model: Zenfone Max, which has a powerful 5,000 mAh battery. The price and other details would be announced in October. He said that Asus has shipped around 1.5 million units in India since July last year. "Asus Launches 3 New Zenfone 2 Variant: Deluxe, Laser and Selfie; To Soon Start Manufacturing in India", 5 out of 5 based on 3 ratings.